The Briggs: Wheeler Farm, 300 Warriors, and My Birthday! A few weeks ago, Kevin and I were kind of bored and since we live right next to Historic Wheeler Farm in Murray and i have never been there, we decided to go check it out. It is an old turn of the century farm that has been kept up and is running still as if back in the old days. It was actually fun! We walked around and looked at all the animals. 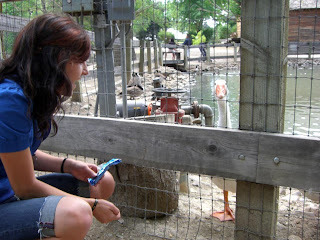 I felt like a little kid at a petting zoo :) Best of all, it was free, and we like free. 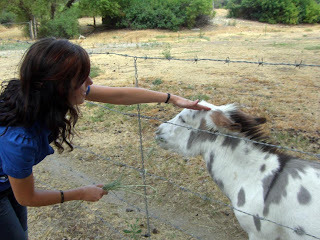 Here I am petting a cute donkey. 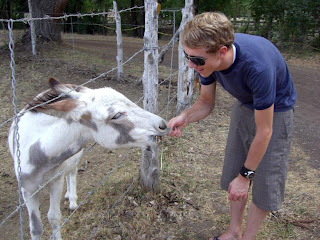 Kevin feeding the donkey some hay. The ducks and geese were so funny! This goose kept making the strangest noise every time I got close with food. He was begging! I loved it. 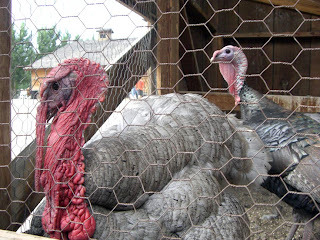 Look at the huge, nasty gobbler on this turkey! On August 16th, it was the day of Stage 4 in the Tour of Utah which included the 300 Warriors race! We stayed up in Park City the night before with Kevin's parents and Casey. They started the race about 6 and finished about half an hour before their previous time, so they did awesome! 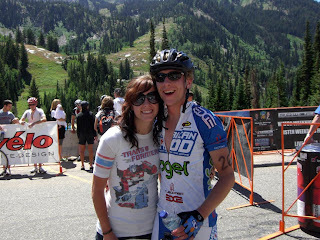 I was so proud of them for finishing because it was REALLY tough towards the end climbing the last 6 or so miles up the canyon to snowbird... When Kevin was done, he laid down for a while to rest and a big bumblebee stung him on the back! He wasn't too happy about that! After they finished, we stayed around and watched the pro riders finish because they started 4 hours after the regular riders. It was pretty cool to see how FAST they fly up the mountain to that finish line! 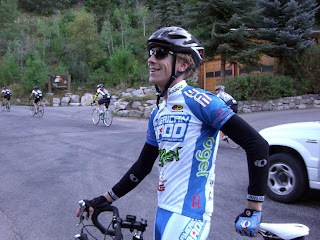 Kevin feeling good at Sundance, about to start the climb up to the top of the Alpine Loop. 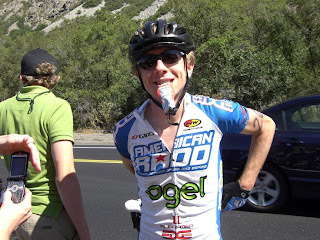 A quick break to trade out water bottles at the top of Suncrest, about to go down into Draper. Kevin making another quick stop before the toughest part of the ride, the climb up to Snowbird. I was so excited for him when he finished!! That day was also my 23rd birthday! Kevin took me out to dinner later that night and gave me my gifts. He got me a Beatles shirt, a black cardigan, a black dress/shirt, some running shorts, a water bottle holder for running, a Ipod/cell phone holder for running, and some new shoes. He's the BEST! On Thursday this week, we went out to eat with my family down in Provo. They gave me a book called The Diving Bell and the Butterfly (I saw the movie and loved it. The book is amazing too), The old "Willy Wonka" movie, "Gone with the Wind", and the new "Pride and Prejudice." On Sunday, we are having a birthday dinner for me on the Briggs' side of the family and my family is coming too. I'm excited! Jeannine is a really great cook, so dinner will definitely be yummy. So my birthday has been kind of stretched out for a week. Not a bad way to do it!